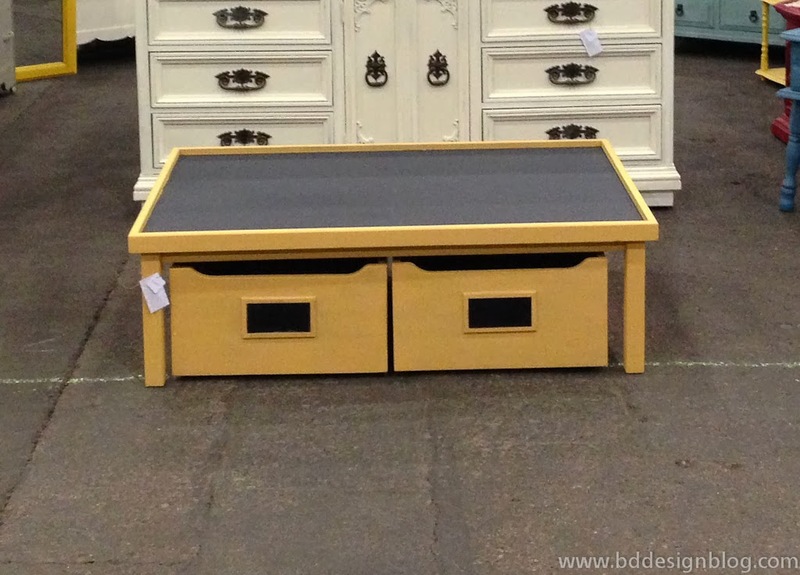 This table was so much fun to transform! I mean who wouldn’t love a chalkboard table? 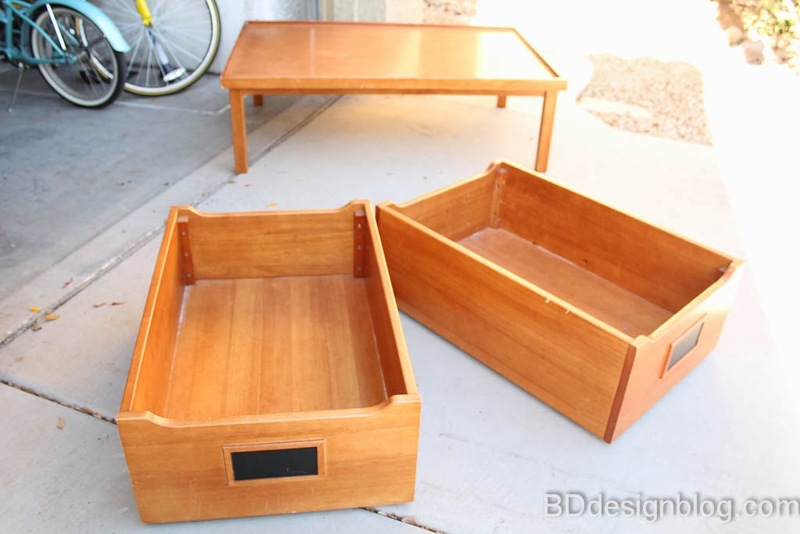 Truth be told my kids were really sad when this table sold. The color choice was easy on this table. I knew I wanted it to be a bright yellow. I used the Annie Sloan Arles paint but I didn’t realize how muted the color was. But after 3 coats of paint I loved the color! Even though it wasn’t that bright yellow like I had originally wanted, it turned out great. I let the paint cure for 24 hours before taping it off in preparation for the chalk board paint. The next step is to prime your surface. My favorite spray primer is Rust-oleum 2x ultra cover primer. Works like a charm. Spray at least 2 layers of primer on your surface. 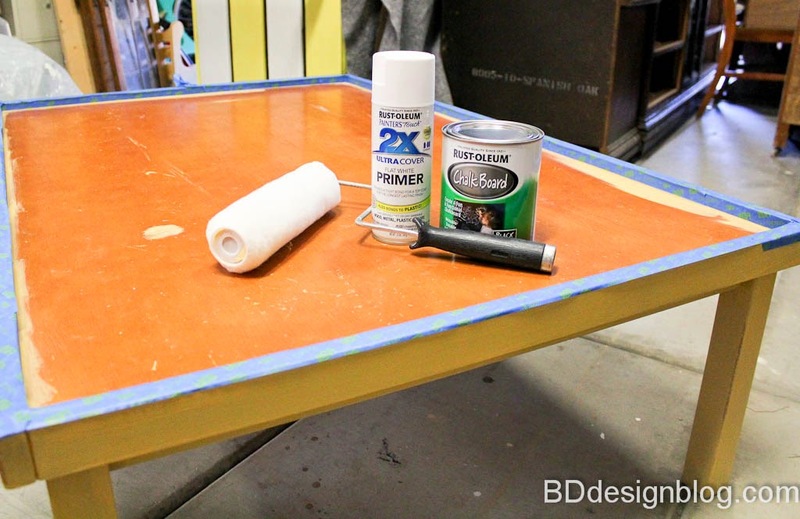 After the primer dries, use your roller to brush on the chalk board paint. This table sold within the first hour of the market I attended. I’m so happy it went to a home with lots of littles who are going to love to draw all over it. 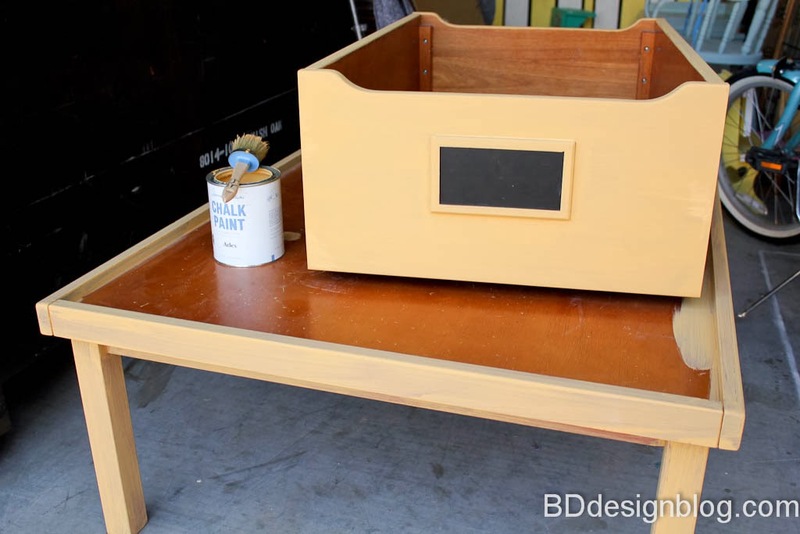 I do have another table in my inventory (no drawers though) that I plan on doing another chalkboard table. This time I’m thinking bright white with gold polk a dots! 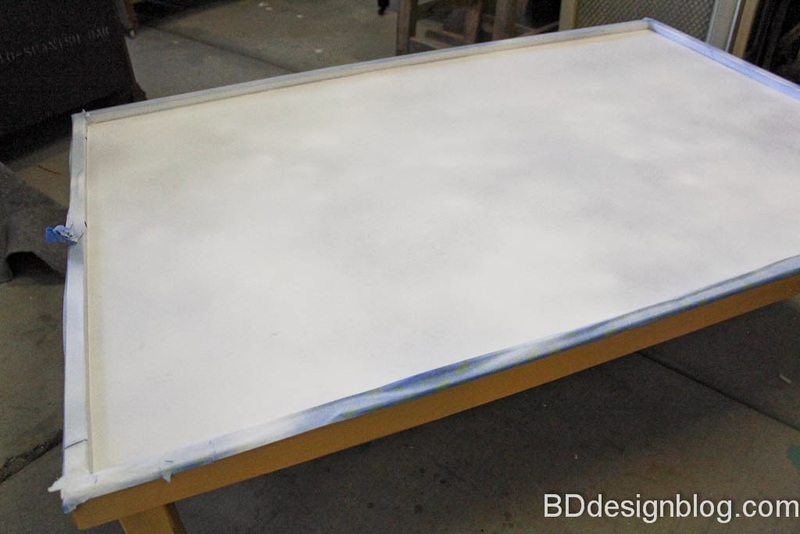 If you want first dibs on the table, email me at bddesign01@gmail.com for price info.